The traits that made Stephen Paddock a successful gambler – his ability to set aside emotion and be a methodical planner who paid close attention to people's behavior – may have made him more deadly, criminologists say. LAS VEGAS — Stephen Paddock usually kept a cigar at hand, even though he didn’t smoke. But he was quick to notice when somebody sat down beside him and lit up. Then Paddock, a denizen of hazy casinos, would take out his cigar, light it and carefully aim its smoke back into the faces of those whose puffing annoyed him. “He was the king of microaggression,” said his brother Eric. Last week, Stephen Paddock returned to the Las Vegas Strip, where he spent many hours and thousands of dollars at high-limit video poker machines, and eyed the fun-seekers crowding his oasis. But this time he did so from a 32nd-floor casino hotel suite. Then he smashed open a pair of windows with a hammer and opened fire with a carefully assembled arsenal, murdering 58 fans gathered at an outdoor country music concert and injuring 500 more before killing himself. Investigators and those who knew the 64-year-old former accountant and real estate investor say they cannot fathom what drove him to slaughter. Authorities, who have been trying to track Paddock’s movements before the massacre, say there is evidence he also scoped out recent music festivals in Chicago and Boston. 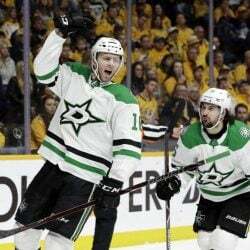 So far, though, they say there is no indication that any one incident or grievance turned the sometimes prickly high-stakes gambler into an executioner. Paddock remains a cipher. But details that have surfaced so far about this murderer – a one-time IRS agent, a boyfriend recalled as both caring and caustic, son of a notorious bank robber – are clues, at least, to his mind-set. Unlike most mass shooters, who are younger, he was the product of decades of experience and rumination. Some who crossed paths with Las Vegas gunman Stephen Paddock in recent months described him as despondent and smelling of alcohol. There is no indication, though, that any particular grievance set him off. Paddock made his living playing machines that reward those who set aside emotion in favor of calculus. He was a methodical planner who paid close attention to other people’s behavior, according to those who knew him. And those traits, assets to a gambler, may well have made him more deadly, criminologists said. Paddock moved from coast to coast over the years, but his story began and ended in the desert Southwest. The oldest of four brothers, he was raised in Tucson, Arizona. When he was 7, his father, Benjamin Hoskins Paddock, tried to run down an FBI agent during a pursuit in Las Vegas. After the elder Paddock was caught and charged with a string of Phoenix bank robberies, agents came to the family’s house to search for evidence. A neighbor, Eva Price, took little Stephen swimming while agents combed through the home. Benjamin Paddock was sentenced to 20 years in a Texas federal prison. But he escaped and spent a decade on the run, landing him on the FBI’s Most Wanted List. A wanted posting from 1969 described the older Paddock as an avid bridge player who went by numerous aliases and had been diagnosed as psychopathic. The FBI described him as egotistical, arrogant and a frequent gambler, according to an article that year in the Arizona Republic. “He reportedly has suicidal tendencies and should be considered armed and dangerous,” the agency warned. Paddock’s mother moved with her sons to Southern California. Paddock’s brothers recall that their mother, who worked as a secretary, did her best to raise the boys on her own, even when times were tight. At John H. Francis Polytechnic High School, Paddock was a brainy kid, but defied the geek stereotype by dressing more like a hippie, said Richard Alarcon, a former classmate who went on to serve on the Los Angeles City Council. The other thing that set Paddock apart was his “irreverence toward authority,” Alarcon said. For a school contest, Paddock and other students were assigned to design bridges using no more than a specified amount of wood and no glue, in a bid to build the strongest structure. Paddock earned a degree in business administration from California State University, Northridge, in 1977, a school official said. He then spent a decade working for the federal government, first for the postal service, then as an IRS agent for six years and, finally, as a defense auditor, according to the government’s Office of Personnel Management. He married and divorced twice, remaining on good terms with both former wives, family members say, and left government work to become an accountant for a defense contractor. Around the same time, he began investing in real estate, eventually buying and selling properties in California, Florida, Nevada and Texas. Eric Paddock said that he and his brother bought and sold some of those properties together and that Stephen Paddock’s real estate and gambling exploits had turned him into a multimillionaire. He lived in some of those properties. But neighbors said they saw little of him. When Paddock bought a house in Brevard County, Florida, in 2013, he told neighbors he lived in Las Vegas, but wanted the home as a base to search for a place for his mother. He gave next-door neighbor Don Judy a set of keys and asked him to check the place when he wasn’t around. Inside, Judy noticed, the place was outfitted sparsely, almost like a dorm room, with minimal furniture but two computers. Paddock showed Judy’s wife a laptop on which he’d just won $20,000 betting online. “He said he was a gambler by trade, a speculator,” Judy said. At the Atlantis Casino in Reno, one of Paddock’s regular haunts, he met Marilou Danley, a high-limit hostess there from 2010 to 2013, and they became a couple. Neighbors near Reno said as recently as this summer, they saw Paddock’s girlfriend gardening in the front yard of a house he owned or taking Zumba classes at the community clubhouse. She’d wave and say hi, but none knew of her being close to anyone on the block – a fact that struck some as odd in a close-knit neighborhood of friendly older adults, many retired. All said they almost never saw Paddock. He had a second home in Mesquite, Nevada, where neighbors recalled seeing little of Paddock after he bought a house on a cul-de-sac. Danley said Paddock had wired her $100,000 in recent weeks and told her to buy a house for her family in the Philippines. But workers at a casino Starbucks in Mesquite that the couple frequented say Paddock often scolded his girlfriend in public. “He would glare down at her and say – with a mean attitude – ‘You don’t need my casino card for this. I’m paying for your drink, just like I’m paying for you.’ Then she would softly say, ‘OK’ and step back behind him. He was so rude to her in front of us,” the store’s supervisor, Esperanza Mendoza, told the Los Angeles Times. Others who crossed paths with Paddock in recent months described him as despondent and smelling of alcohol. When Paddock came into a Reno car dealership late this summer, he told salesman Scott Armstrong he was depressed and had relationship troubles. “When’s the last time somebody told you their life was miserable? It sticks with you,” Armstrong said. 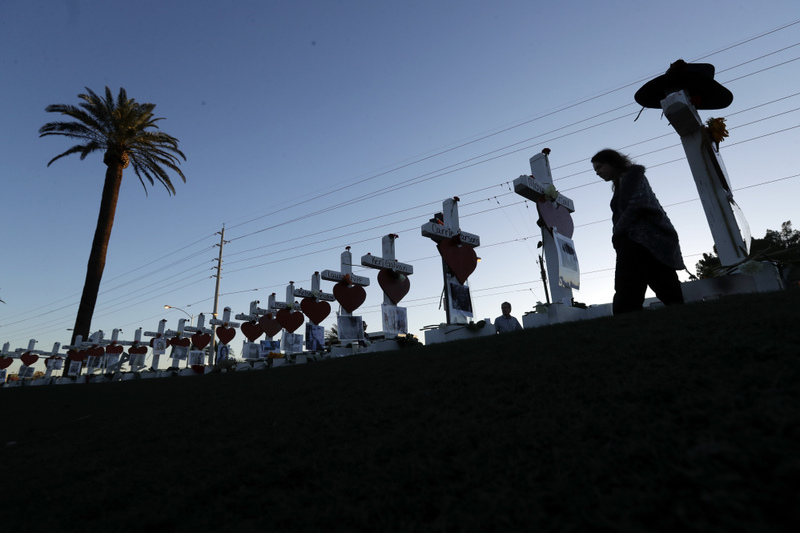 Manuela Barela passes crosses set up in Las Vegas on Friday to honor those killed in Sunday’s massacre. Stephen Paddock opened fire on an outdoor music concert, killing dozens and injuring hundreds. His motive remains a mystery. Still, investigators said they are finding little to explain what drove him to mass murder. He had no known criminal record, and so far investigators have not disclosed any evidence that he had struggled financially or otherwise. On the contrary, his brother and professional gamblers say, his poker wagers paid off not just in winnings but with perks like free hotel rooms and poolside cabanas. Most of Nevada’s video poker machines are in bars, set up so drinkers can play from their stools for 25 cents a hand. 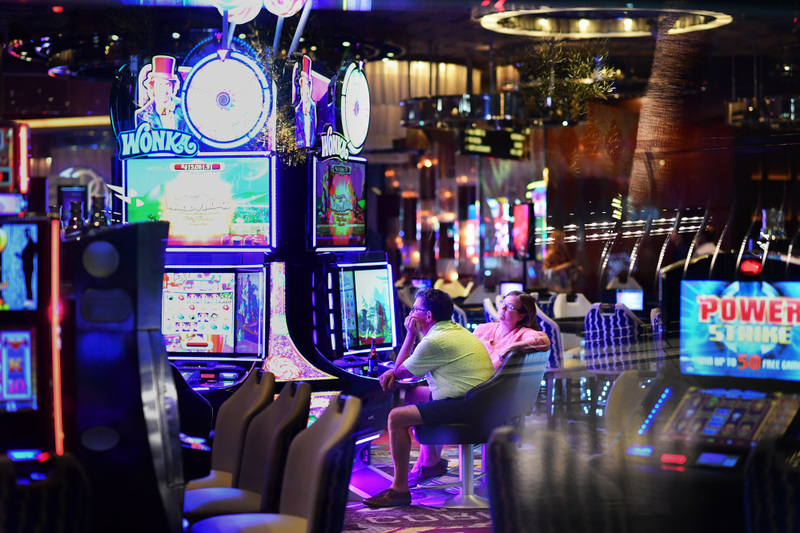 But Paddock favored high-dollar machines, separated from the rest of casinos, where top players rely on mathematical strategy to shrug off losses while playing for big payoffs. 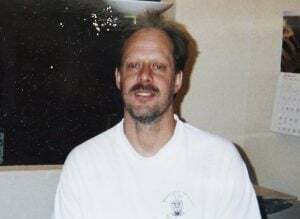 Paddock, usually dressed in a button-up shirt and a pair of pants that “looked like he’d had it on for a few days,” would sit for hours, often placing bets of $100 or more, rarely talking with anyone but clearly conscious of his surroundings, said John Weinreich, a former executive casino host at Reno’s Atlantis. The gambler had a “God complex,” he said, and expected quick service no matter how busy the staff was. He said Paddock had a habit of staring at other people, as if silently challenging them to a contest. One high roller – an even bigger player than Paddock – told Weinreich it gave her the creeps. “It was just his demeanor. It was like, ‘I’m here. Don’t cross me. Don’t look at me too long,'” Weinreich said. Eric Paddock said his brother was generous with the privileges the casinos bestowed on him. He recalled how during one trip to Las Vegas, Stephen ordered them a sushi meal that must’ve been worth $1,000, but was paid for by a casino. During that same outing, though, Stephen Paddock turned abruptly and demanded that his brother go get him a sandwich. “That’s the cost of being with Steve,” he said. Eric Paddock said he knew his brother owned a few handguns, but not so many that he’d call him a collector. But investigators say Paddock had bought 33 firearms in the last year alone, mostly rifles. When Paddock visited B&S Guns in Garland, Texas, last year with his girlfriend, he asked whether there was a way to modify a gun to make it easier to pull the trigger, owner Paul Peddle said. Peddle recalled that Paddock had purchased handguns there before, had his license in order and seemed like a nice enough guy. Danley, who was walking with a cane at the time after surgery, played with Peddle’s puppies while her boyfriend asked questions. And when it was time to go, Paddock walked her to the car and helped her to get in. “He was very charismatic with her, very sweet,” Peddle said. When Paddock checked into the Mandalay Bay Resort and Casino last week, he requested a room on a higher floor, but was told nothing was available. Then a room freed up and managers moved him to a 1,700-square-foot suite on the 32nd floor. It lists for $590 a night. But as a big bettor, Paddock got it on the house. Security appears to have paid little notice as he moved a series of bags containing 23 guns to the room. But they did respond to his complaints about loud music from a family staying in the room just below. On Sunday night, Paddock donned black pants and a black glove and took his place before the floor-to-ceiling windows looking down at the crowd listening to country singer Jason Aldean. Outside the door of the room, he placed a camera in a catering cart and another in the door’s peephole to keep an eye on those who might approach from behind. It added up to a carefully conceived plan designed for maximum carnage. In a chilling but unforeseen way, it echoed his deliberate approach to video poker. But those who saw how Paddock prided himself on his casino prowess and the perks it brought him said it made it that much harder to reconcile with the notion that he would target that very world for destruction. “Girls brought him drinks. They served him big shrimp. … They put him up in fancy hotel rooms,” Eric Paddock said this week, standing outside his home in Orlando, Florida.